Reader Lorraine sent some photos taken by (and published with permission of) her friend Doug Hayes. Doug’s captions are indented. 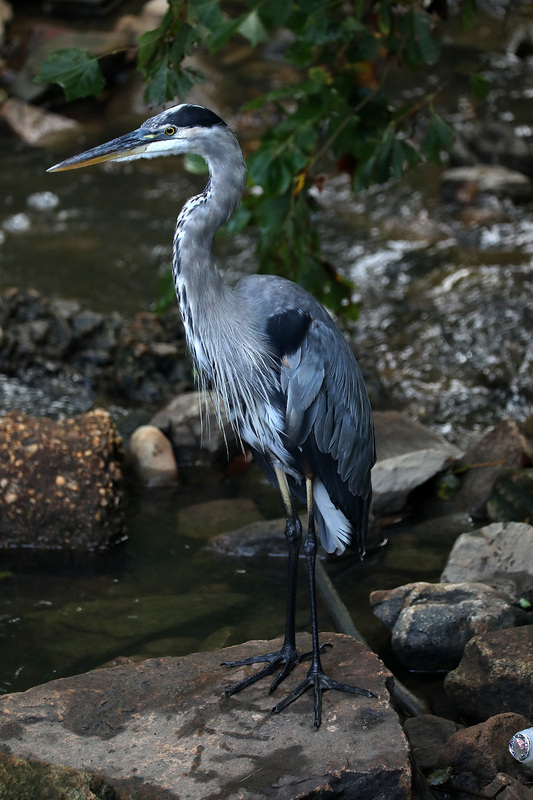 Great blue heron (Ardea herodias) at Forest Hill Lake, plus a male Northern cardinal (Cardinalis cardinalis). 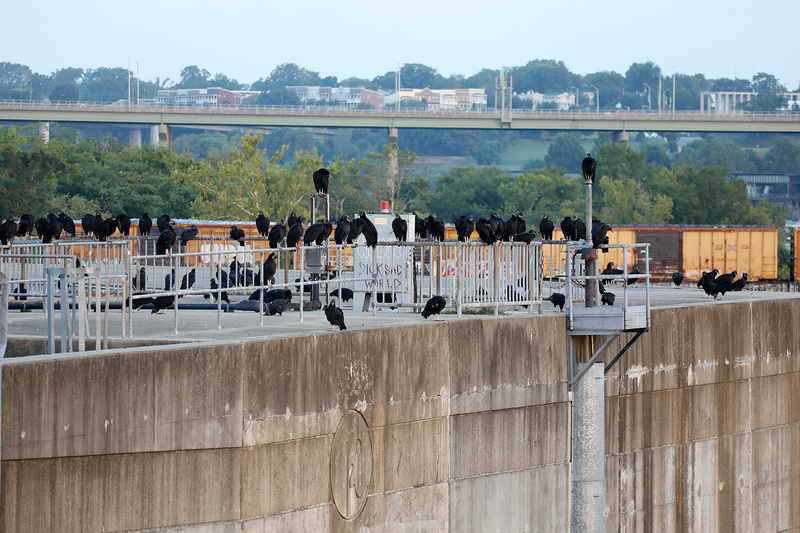 Black vultures, AKA American Black Vultures (Coragyps atratus) at the Richmond [Virginia] Flood Wall Saturday morning, September 1. Just hanging out and watching us. 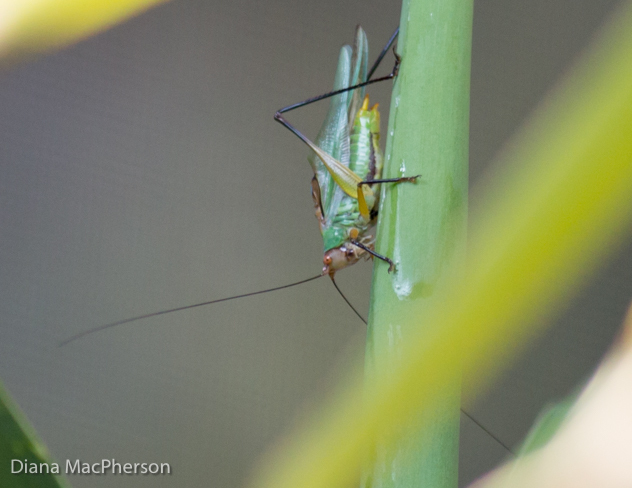 I finally offloaded my chipmunk picture when I took this picture of a Black-legged Meadow Katydid (Orchelimum nigripes) today [Sept. 2]. 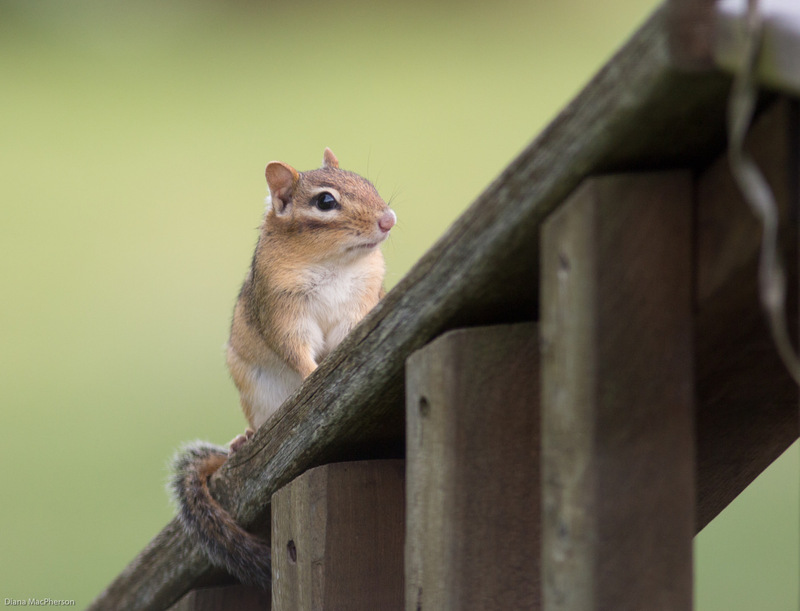 Eastern Chipmunk (Tamias striatus) on deck railing – I like the way his tail curls around the railing…. This entry was written by whyevolutionistrue and posted on September 26, 2018 at 7:45 am and filed under birds, mammals. Bookmark the permalink. Follow any comments here with the RSS feed for this post. Both comments and trackbacks are currently closed. Jerry, why the emphasis on good? Are you receiving unacceptable submissions? Yeah well, I try and sometimes I submit something good but honestly I’m a rotten photographer. Its as if most of my shots are of bigfoot – blurry & unrecognisable. I’ll have new photos of Scooter, my skink kit, and the raccoon kits soon – the later have really grown since July. 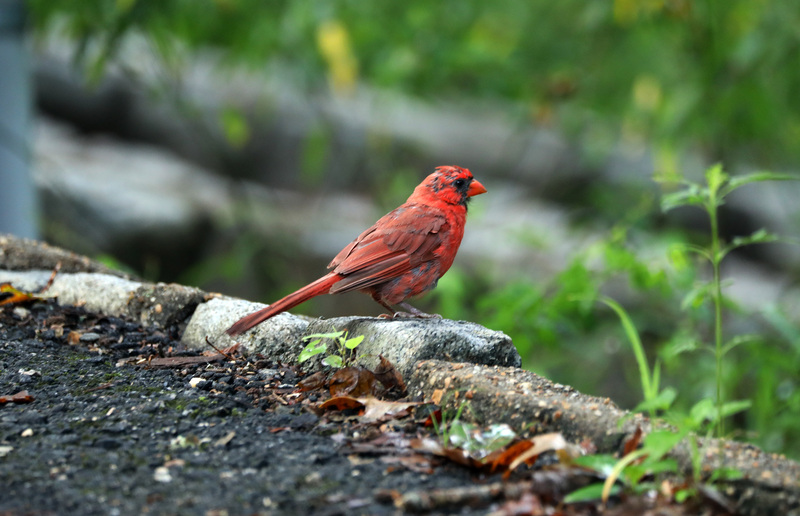 The Cardinal looks like he’s molting, ready for his next suit of feathers for courting. 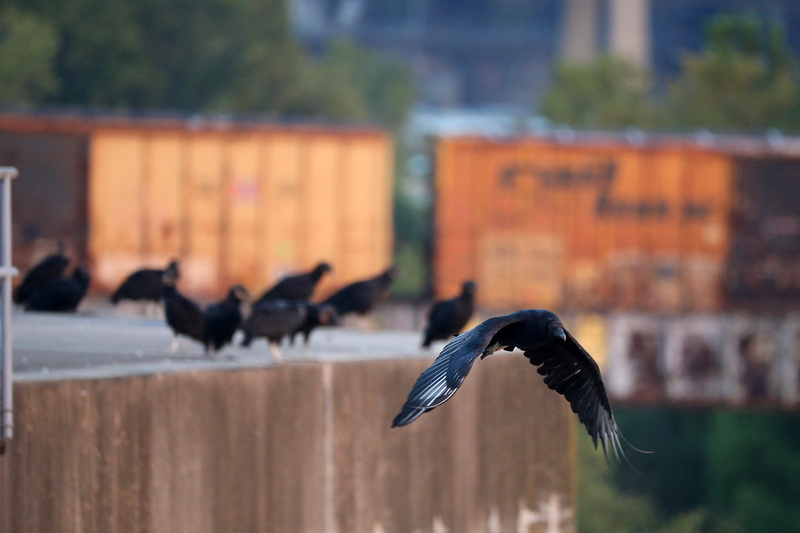 You usually see just a few black vultures circling high in the sky. 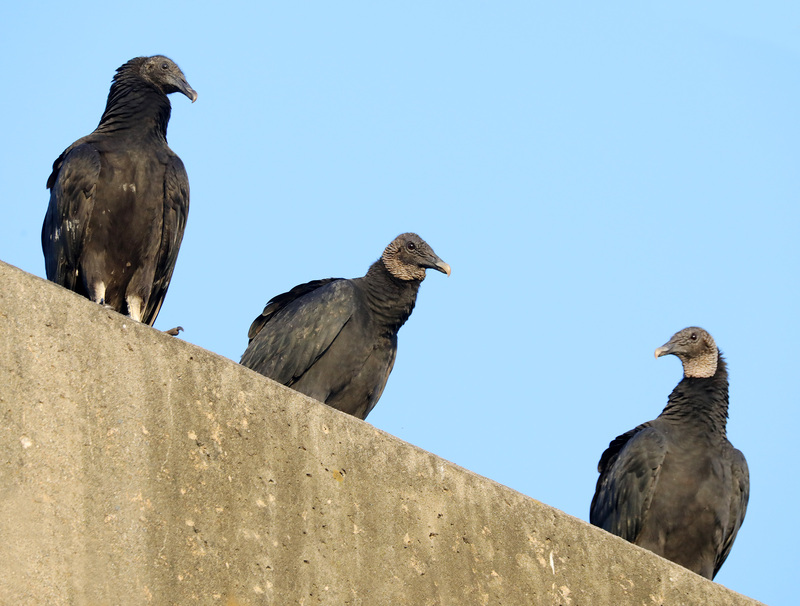 This flock seems to invite pictures. Love that chipmunk’s slightly insecure lock on the railing. Happy to see the photogenic chipmunks represented again! OK, I give up. How does one send you a photo? Through his email. You can find it at PCC(E)’s University of Chicago page. 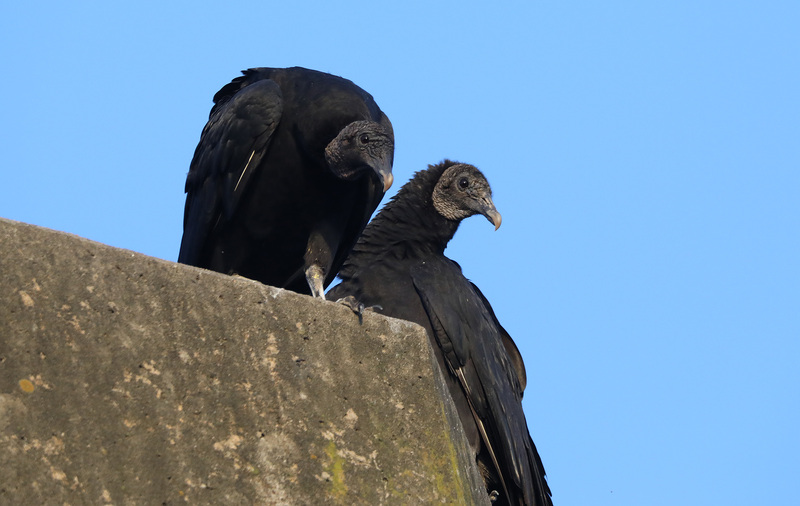 The vultures are super creepy!